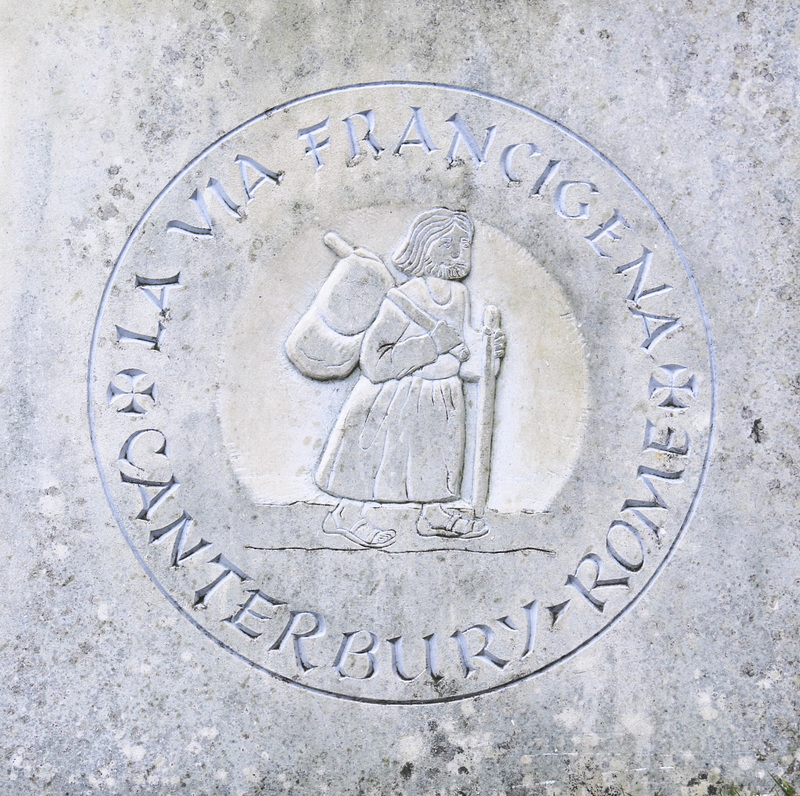 The Via Francigena is an ancient medieval pilgrim route from Canterbury to Rome. The itinerary is based on the journey made by Sigeric, Archbishop of Canterbury, in 990 AD. He had travelled to Rome to receive his Pallium from the Pope. And, on his return he made diary entries recording the 79 stages of his journey.Today, many pilgrims follow in his footsteps walking from Canterbury, through France, Switzerland and Italy to Rome. The beginning of this journey is marked by this milestone. For hundreds of years, Canterbury Cathedral has been a site for pilgrimages. Mostly, because pilgrims came to the tomb of Saint Thomas Beckett, who was murdered in the Cathedral. His blood was said to have worked miracles. Today, the exact location of his tomb is unknown.